Typical used for restaurant menus, award certificates, wedding invitations, embossing and high end document printing requirements. One of the oldest papers, dating back to as early as 1500 B.C in the Greek world and Egypt. Parchment Paper is a high-quality, hard-surfaced cotton-fiber paper designed to resemble "parchment", which was actually the split skin of a sheep. We offer this paper in various roll widths, roll diameters, core sized, sheets and die cutting available. We can provide a range of Parchment Paper offerings when working with you to define your project, all while giving you the option of having us hold Inventory for you. Below are the typical Parchment Paper offerings most common seen. Please contact us for just a quick question or to discuss your new project - we are listening!! Paper Grades Available for Parchment Paper: Baking, Resin Treated and More! Often this paper is chosen for calligraphy writing, or signage that wants to show an older, antique look and feel. It is often, but not always, a natural light brown. 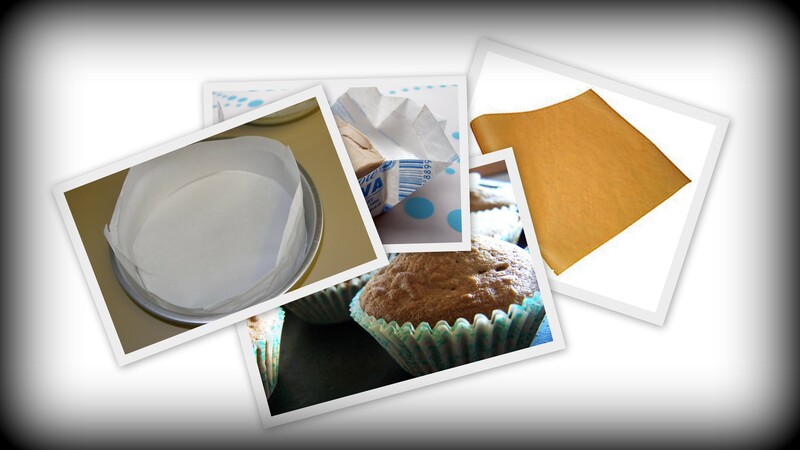 Parchment paper for baking is used to eliminate the need to grease sheet pans etc. thus increasing production of baking products. Parchment Paper with its heat resistance and low surface energy, makes it a perfect replacement for Wax paper, where this will not burn or smoke at normal baking temperatures. When non-stick application is needed, silicone or Quilone is coated on the Parchment paper, making for a non sticking baking surface. We can provide a coating on one or both sides with a differential if needed. This is a technique where food is "steamed" or cooked within neatly closed pouches made from Parchment Paper. When grease or juices are present in baking etc, a treated Parchment paper offers excellent hold-out from bleeding through. Tamale wraps, pan liners, candy and taffy wraps, food and meat interleaving, butter and margarine wrap.